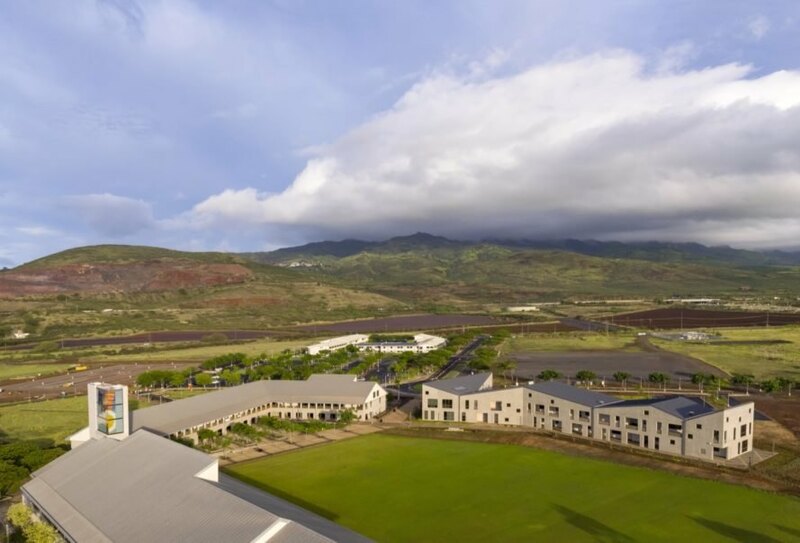 The University of Hawaii West Oahu has gained a new Perkins+Will-designed addition that’s not only visually striking but also site-specific to Kapolei, a planned community on the island of Oahu. 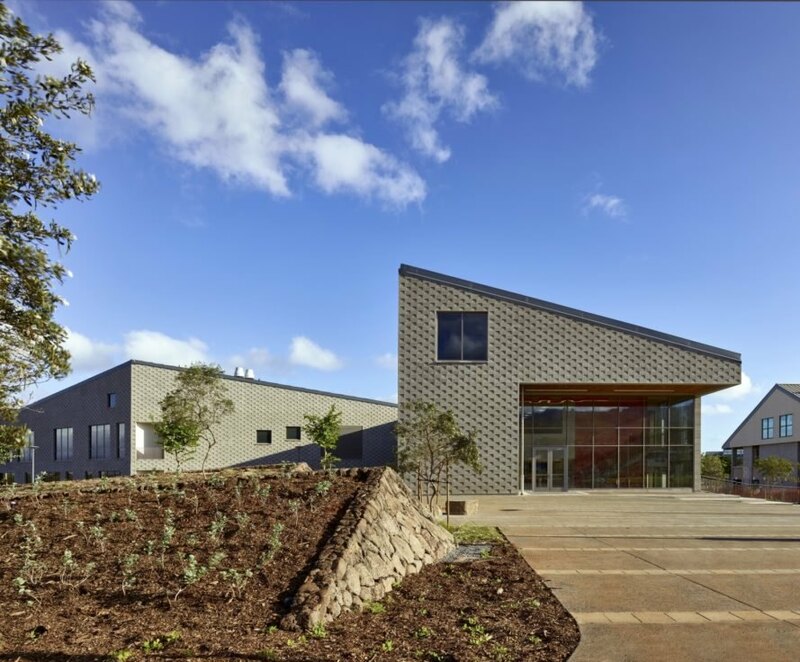 Created in collaboration with Hawaii-based KYA Design Group, the campus building offers a mix of workspaces and learning areas for students, faculty and staff. 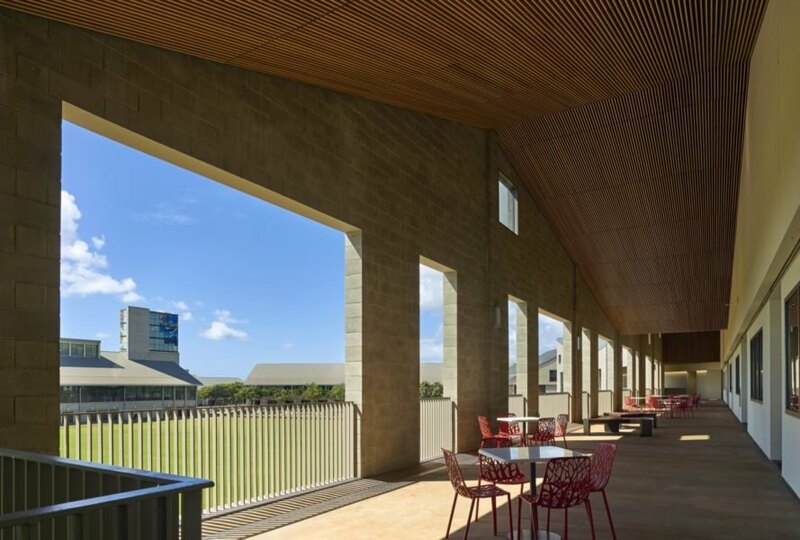 All parts of the University of Hawaii’s new Administration and Allied Health Building was inspired by the site context, from the siting of the building to the sculptural zigzagging roof that references the area’s historic sugar mills. Located on land that had formerly been used as sugarcane fields, the University of Hawaii’s West Oahu campus is tied to a long agricultural history dating back more than a hundred years. Continued sustained tilling, however, has stripped away rich topsoil and rendered the land less fertile and less able to retain water. As a result, Perkins+Will has made environmental stewardship a priority in the project with a landscaping plan that will restore the topsoil through nitrogen fixing planting, improve onsite ecological water and nutrient management and revive native landscaping. 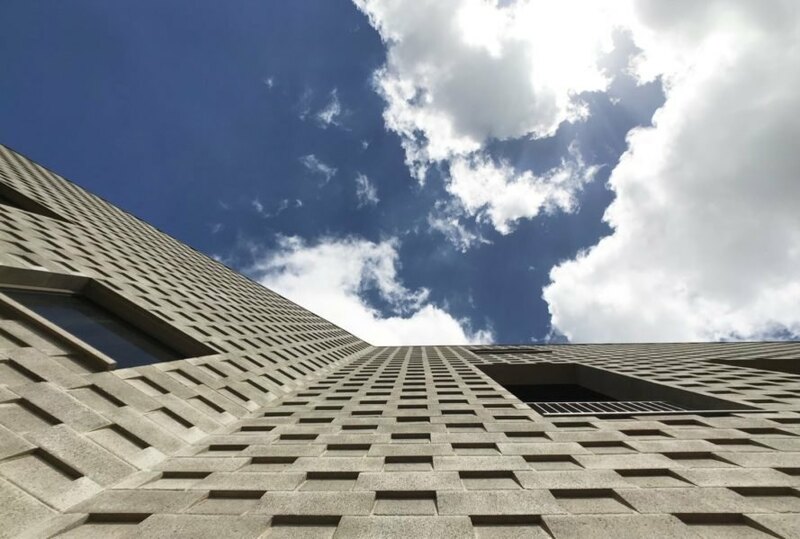 Eco-friendly principles also guided the design of the 43,000-square-foot complex, which features deep open-air lanais (balconies) on the south-facing facade that provide shade against the harsh sun and promote natural ventilation. 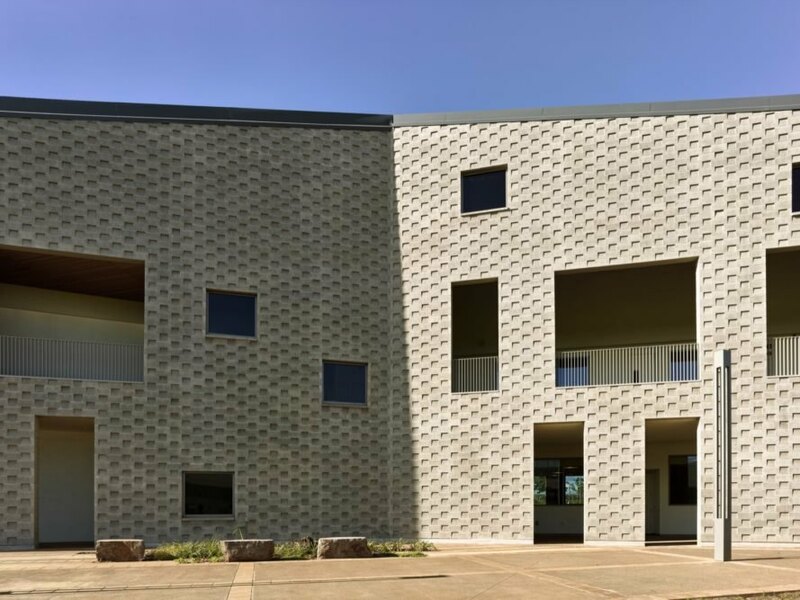 The textured monolithic skin is made from concrete masonry units (CMUs) that form a geometric pattern inspired by traditional Hawaiian kapa (cloth). Perkins+Will and KYA Design Group collaborated on the Administration and Allied Health Building for the University of Hawaii West Oahu. The structure is site-specific to its location in Kapolei. The building offers workspaces and learning areas for faculty, staff and students. Open-air lanais allow students to study in the great outdoors. A textured facade is inspired by traditional Hawaiian kapa. The landscaping is designed to restore the site's soil over time. 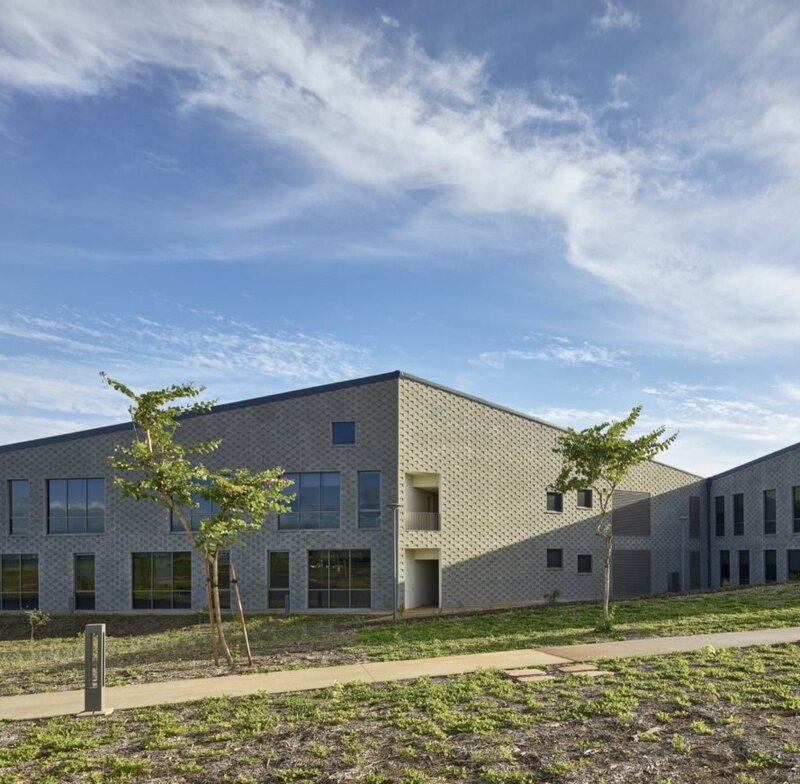 The new university building is located on former sugarcane fields.